I wouldn't buy a can of orange juice from Fittipaldi. Yeah, how does he still have money to start a car company? Also, wonder why he is using the 7 designation. The last Fittipaldi F1 car was the F9. Yeah, Fittipaldi was a poorly managed team and struggled throughout their history. Also part of the problem was Emerson's $1M/year salary from Copersucar which left little money for designing and developing their cars. Weird fact, Fittipaldi Automotive employed Keke Rosberg, Harvey Postlethwaite and Adrian Newey all of whom worked for Wolff's F1 team which Emmo bought out the remains after Walter Wolff got out of F1 racing. Al of whom left within a couple years for much better things (Newey - March/CART, Postlethwaite - Ferrari, Rosberg - Williams). Last edited by Legend2TL; 02-06-2017 at 11:10 AM. Only 7 more days till the first official car launch of the season happens and we get a full size look at the new cars. Here are all the confirmed dates up to this point. The bigger tires just look so much better. I think the 2017 cars besides having faster corner and later braking will allow easier overtaking with the bigger wings and less restrictive aero rules. 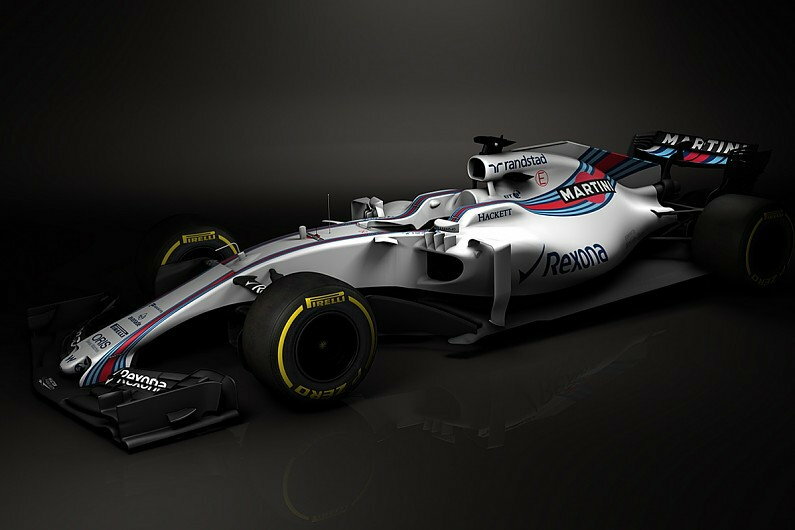 If anything it will be hard to overdrive the cars (like Massa, Bottas,...) as the previous 2 decades of narrow track and narrow tires. Looking forward to the first race. I expect MB to be a leader, but also expect the gap to close up from RBR and other 1.5 tier teams. Even hopeful McLaren/Honda can produce a decent chassis/powertrain combination. Red Bull will unveil its 2017 Formula 1 car - the RB13 - on the day before pre-season testing starts at Barcelona. The four-time world champion team's launch will take place on the same day as its junior F1 outfit Toro Rosso, Sunday February 26. Red Bull's reveal will come at the end a busy period of new-look 2017 cars breaking cover. Renault, Force India, Mercedes, McLaren and Ferrari will hold bespoke events in the week before testing. Sauber has opted for an online reveal on February 20, two days it completes a filming day at Barcelona. Haas is expected to reveal its car during a filming day on the weekend before the first test, with Williams the only team yet to outline its plans. wonder if Haas will get their paint scheme right this year--last year was hideously amateur. Honda admits new F1 engine concept "very high-risk"
Honda chief Yusuke Hasegawa admits the Japanese manufacturer is taking a "very high risk" with the new concept for its 2017 Formula 1 engine. After a miserable return to F1 with McLaren in 2015, Honda made gains last term but remained adrift of rival manufacturers Mercedes, Ferrari and Renault. McLaren technical director Tim Goss said earlier this month that Honda had completed a redesign of its power unit, aided by the abolition of the token system. As Honda bids to close that gap still further, Hasegawa says the Japanese manufacturer is taking a risk with its next-generation unit. "The concept is completely different," Hasegawa told Motorsport.com's sister publication Autosport. "It's very high-risk, we don't know a lot of things about that new concept. "We know it will give us a performance advantage but the biggest risk is whether we can realise that potential this year." The unit is set to feature a revised architecture and a new layout in a bid to improve performance and packaging based on lessons learned from the past two seasons. Hasegawa said the internal combustion engine remains a key focus for Honda but development of other areas of the power unit is required in tandem to make progress. "We need to concentrate on the ICE for this year," he said. "If we improve the engine itself, which means boosting exhaust gas energy, we need to boost the turbine otherwise we cannot perform at the same level in terms of deployment. "We still have to do some tests and there will be some trial and error. I hope we have understood the direction and the elements to focus on. "But it's not easy to combine the elements to realise the improvements on the ICE completely." Well with the token system gone this year if it is terrible can't they build an entire new one to use halfway through the year? Wasn't the last engine also high risk? The 2015 Honda engine was risky, supposedly with a multi-stage compressor section of the turbo that allowed a more compact diameter and reduced rotational inertia. The motor also was tighter in packaging which led to lots of electrics/electronics overheating especially at long circuits (Monza). The 2016 motor used a more conventional turbo but the motor improved overall but so did the competition. IIRC both the KER and TER systems were extensively reworked, along with the ICE getting new cylinder heads with revised combustion chambers. Perhaps trying to emulate the "jet" ignition/fuel injector approach by MB? So Honda is doomed again? ^^^ not as far as Alonso is concerned it isn't. Good question, 2017 could/should be their make or break year. I'm kinda surprised Neil Oatley is still McLaren Exec. Dir. of Eng. He's done some great work for the McLaren (90's and 00's) but last 4 years in chassis's have been dismal or average. There's been ALOT of changes in the race management lately, Eric Boullier is still there but many other's that Dennis put in place have left or were fired. 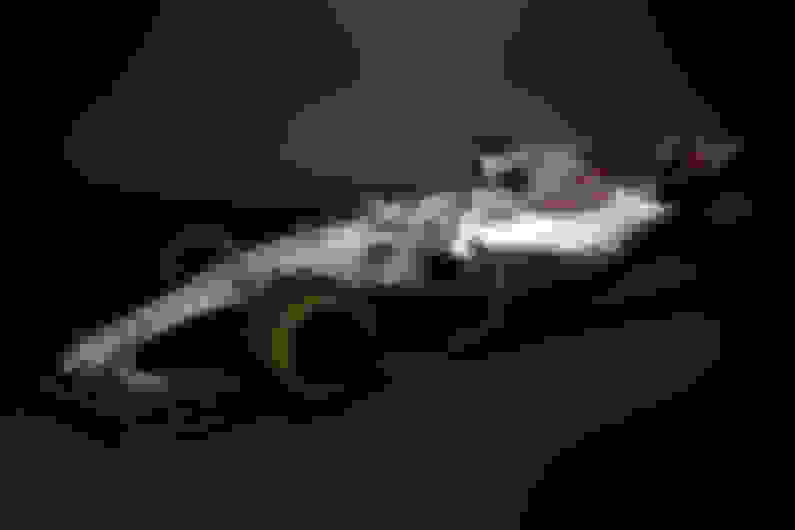 One bright upside I see is Stoffel Vandoorne, whom looked really impressive in his only race for the team in 2016. Yeah, Alonso is a optimist. Well here is to hoping Honda gets it right and isnt a DNF after DNF this season! Last edited by fsttyms1; 02-15-2017 at 09:27 PM. Well here is to hoping Honda gets it right and ist a DNF after DNF this season! I think Honda should try to get their engine with another team. My gut feeling is that the engine wasn't too bad by 2017, but the McLaren chassis is not good. Another team with a Honda engine would be a good benchmark test. Maybe with Toro Rosso. I tend to agree. McLaren is setting themselves up for failure by maintaining exclusivity for the engine. If they let Honda distribute, McLaren becomes a de facto factory team like Mercedes and Ferrari. Good memories. Too bad it almost never happens anymore, partly due to new safety regulations. If you think about it, it's extremely dangerous. I disagree about the McLaren chassis, it was still the stronger 1/2 of the package. Supposedly Sauber is going to be using Honda engines in 2018. Manor's demise proves Formula 1's system has failed and needs rethinking, according to former team boss Giancarlo Minardi. Administrators for Manor announced late last month that the outfit was being shut down, after hopes of finding a buyer faded. It means the grid has been reduced to 20 cars for the 2017 season, while more than 200 staff have been made redundant. "When a team leaves F1 it is a failure of the whole system," Minardi, whose team made 340 F1 starts between 1985 and 2005 before becoming Toro Rosso, told Autosport. "We must not forget that the current regulations will be in force until 2020." Minardi believes F1's introduction of the 1.6-litre V6 engines ahead of the 2014 season is the key mistake that has caused financial problems for teams. "In recent years F1 chose the road of technology, in other words to make Formula 1 the maximum expression of technology with the introduction of the power unit, and this has led to a big increase in costs," he said. "I would have rather seen the power unit technology used in endurance races. "Formula 1 is sprint racing, wheel-to-wheel battles between drivers." The 69-year-old also echoed former FIA president Max Mosley's view that F1 has gone in the wrong direction with the 2017 rule changes. F1 will be revamped this year, with wider cars, bigger wings and larger tyres that are expected to combine to deliver quicker lap times. "At Melbourne we will see cars that are four to five seconds faster according to simulations," he said. "What is the good of this? "It will certainly not help the spectacle as those who are seated in the grandstands or watching televisions will not realise it." Minardi, who still watches every F1 race 11 years after leaving the paddock, wants new owner Liberty Media to bring the series back to basics. "I would like to see more days devoted to collective tests to attract the fans that have run away because of their loss of interest," said Minardi. "We should come back into the track instead of spending on simulators. "I would encourage decreasing the number of the staff within a team. "We should prohibit the use of remote teams of engineers, engineer teams who work at the headquarters simultaneously with those at the track. "I would also free up the development of engines and cars, without any limits. "On pitstops, I would reduce the number of mechanics working on the car to eight as they would be more spectacular for the television audience. "It would be exciting from a strategy point of view, too, in addition to helping reduce the costs." MELBOURNE’S Grand Prix boss has admitted the appointment of a new Formula One head has opened the door for Sydney to launch a fresh bid to hijack the event. Australian Grand Prix chief executive Andrew Westacott conceded the $10 billion sale of the sport to US company Liberty Media meant the future of the race at Albert Park was back on the table. Victoria has a contract for the race locked in for the next seven years. But Mr Westacott said the fact F1 had a new master, US executive Chase Carey, meant interstate raiders such as the NSW Government were likely to swoop with fresh bids. “It wouldn’t surprise me,’’ Mr Westacott said. Mr Carey, a former 21st Century Fox executive vice-chairman, is expected in Melbourne for next month’s race — the first since he ousted British billionaire Bernie Ecclestone as F1 supremo. Melbourne’s race was strongly supported by Mr Ecclestone, a close friend of former Australian Grand Prix chairman Ron Walker. But Mr Carey has promised global changes, and has outlined a desire to create more races in the US and transform events into week-long festivals. Mr Westacott said he held no concerns for the current contract, extended by the Andrews Government. It includes a secret hosting fee believed to cost taxpayers more than $50 million. “Victoria should be very confident in the knowledge that the event is here until 2023 and it’s got the first race of the season in a twilight spot at 4 o’clock, and that all works beautifully for us,’’ he said. He was confident an F1 race would remain Down Under despite Mr Ecclestone’s axing after a 40-year reign but admitted renewed pressure would come to keep it in Melbourne. “The thing I would emphasise is Melbourne has a global reputation across all events — this is our 22nd event — and we do it very, very well,’’ he said. If the specifications of the chassis are hindering the development of the engine (as sometimes rumored), then it's not that simple. ^^^ 'splain Lucy . . . .
On another note, here's the new Williams! Haha you just beat me. Was coming to post the same thing. Doesn't look as different as I expected at least not in a 3/4 view. I am sure it will on track though. There's some speculation that McLaren's demands for the engine are excessive. The fact that the Honda engine has been overengineered and not good seems to echo that sentiment. Like the lower rear wing, can't get a good view of the redesigned front wind. Sunday February 26 will be an exciting day for Formula One fans, with Haas having confirmed that they will launch their new car on that date - along with Red Bull and Toro Rosso. Haas made a spectacular debut last year, the American team finishing eighth in the standings in their maiden season. They now hope to build on that success with their new VF-17 machine. The Ferrari-powered challenger will be piloted by a revised driver line-up for 2017, with Kevin Magnussen moving from Renault to partner Romain Grosjean, replacing the outgoing Esteban Gutierrez. The new Haas car is expected to make its track debut the day after its launch, when pre-season F1 testing begins at the Circuit de Barcelona-Catalunya in Spain. 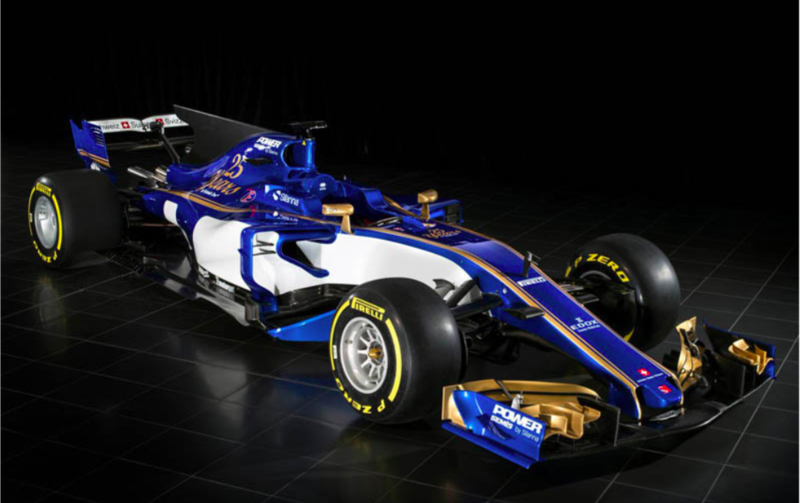 As things stand, Sauber will be the first team to reveal what their 2017 car looks like. For full details of confirmed launch dates, as well as the 2017 testing schedule, click here. I guess Sauber is going to be the first to reveal the actual 'in the flesh' car, since we just got the FW40 this morning. The majority of Formula 1 teams agree the return of active ride would be the simplest way to clarify confusion surrounding the legality of suspension systems, Autosport has learned. The reintroduction of active suspension is one of four approaches under evaluation for 2018, with the FIA understood to be considering clarifying the existing regulations ahead of the first pre-season test at Barcelona that starts on February 27 in the interim. Debate about pre-loaded suspension systems has dragged on for several weeks, after Ferrari asked the FIA for clarity regarding the devices helping aerodynamic performance. As a result, four options, one of which is the reintroduction of active suspension for the first time since it was outlawed ahead of the 1994 season, are being considered based on a document drawn up by McLaren. Given the scale of the change, if agreed upon by the teams and the FIA, such a regulation change wouldn't come into force until 2018 at the earliest. The active suspension proposal suggested the standardisation of the actuators would prevent a costly technical arms race. The proposal also argues active suspension would "bring F1 into the 21st century" technologically. Should this route be pursued, an active suspension proposal submitted by Mercedes in 2014 has been suggested as a good starting point for defining a four-channel system that would allow teams to control heave and roll electronically. A second option suggests tightening up the suspension regulations to prevent passive systems designed to influence the aerodynamic platform. This is based on a Ferrari proposal to interpret the original decision banning active suspension more strictly and would require a change to the wording of Article 3.14 of the technical regulations, which governs aerodynamic influence. The third option involves exempting suspension systems from the technical regulations governing aerodynamic influence. This would effectively allow passive systems designed to control the aerodynamic platform, although the regulations would stop short of allowing designs such as FRIC (front-to-rear interconnected) suspension to return. While it would eliminate question marks over the legality of certain systems, there are concerns this would prove expensive. The final option is to retain the existing regulations, but with the FIA carrying out more checks to ensure compliance and teams being required to submit documentation explaining their suspension designs. The four options will form the basis of an ongoing discussion, which will shape the interpretation of the regulations this year and wider changes potentially made for 2018. First of all I am against anything that could be defined as viewer or spectator hidden technology. It only adds confusion to what is going on as one team will be better at it than the others and so once again it would take away the driver's input. If you have an active system, be it simple or not, in effect it will reduce braking distances and improve traction. Neither of these will improve the spectacle and they will again reduce the reliance on driver skills. Active suspension is a means to optimise the aerodynamic platform. This can be done in the car concept and design stage and is far more challenging from an engineering point of view then than just creating a suspension ride height map that optimises the aerodynamics after the fact. If I read it correctly I think I favour the 'Ferrari' route: it could probably be worded simpler but when did F1 ever make anything simple? Nice. Back to the future F1. with Ferrari power. Question is, wonder if they'll get a big time sponsor this year? ^ Looks good, first to show in full light, unlike the shadowed FW40. Not bad. I hope a sponsor name or something fills that large white void though.